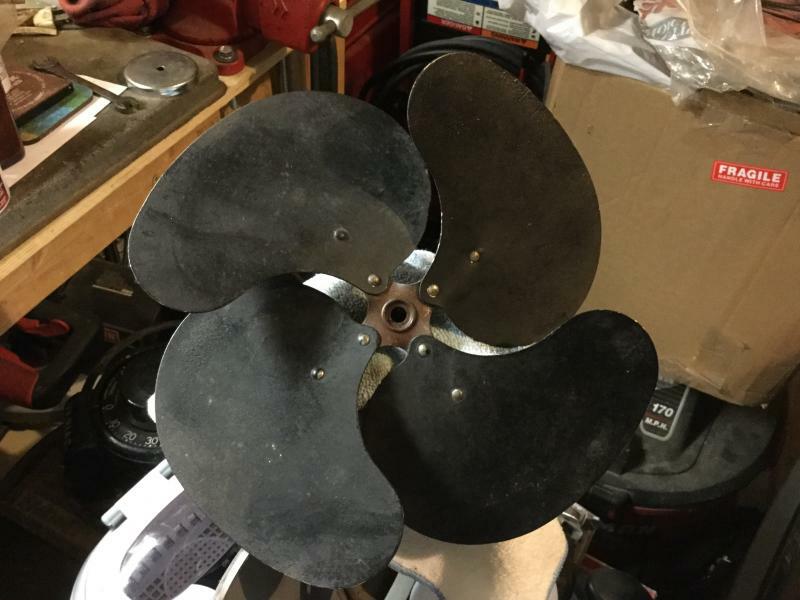 I’m in the process of restoring a 1935 Emerson 6250 but need a another blade. Original was a painted black steel one with large overlapping fins. If anyone has one for sale I’d be interested. Thanks. Hey Mike, I have a 6250-F blade from a parts fan if you're interested. Attached are a couple pics. I believe these are aluminum with a brass/bronze finish - not solid brass/bronze like on the 6250-H, K, K2 and L.
Thanks for the offer Al but I was able to track one down. Appreciate it. Al Finnell wrote: Hey Mike, I have a 6250-F blade from a parts fan if you're interested. Attached are a couple pics. I believe these are aluminum with a brass/bronze finish - not solid brass/bronze like on the 6250-H, K, K2 and L.
Do you still want to sell those blades? Hey Nathan, I only have one, but I need to keep it for now. My granddaughter has requested a fan (in Pink of course) so I may need to put my humpty-dumpty parts fan back together or buy another one to fix. Either way, I need to hand on to it for the time being. Page processed in 0.1482 seconds (10% database + 90% PHP). 29 queries executed.